Justice Annette Kingsland Ziegler was first elected to the Wisconsin Supreme Court in 2007. She is the 80th justice and the sixth woman to serve on the states highest court since Wisconsin became a state in 1848. Born in Grand Rapids, Michigan, Justice Ziegler received her bachelors degrees in Psychology and Business Administration from Hope College in Holland, Michigan in 1986. She earned her law degree from Marquette University in 1989. Justice Ziegler received the Distinguished Alumni Award from Hope College in April, 2014. Upon graduation from law school, Justice Ziegler was in private practice where she engaged in civil litigation. She also served as a pro bono special assistant district attorney in Milwaukee County in 1992 and 1996. Immediately prior to serving as a circuit court judge, she was an assistant United States attorney for the Eastern District of Wisconsin. Before joining the Supreme Court, Justice Ziegler served as a Washington County Circuit Court judge. She was appointed to the bench in 1997, elected in 1998, and reelected in 2004. She was the first female jurist in Washington County. As a circuit court judge, she was the deputy chief judge for the Third Judicial District and served six years as the presiding judge of Washington County. In 1999, Justice Ziegler sat as a Court of Appeals judge in the District II Court of Appeals Judicial Exchange Program. Justice Ziegler is Court Liaison to the Board of Bar Examiners and a member of the Supreme Court Finance Committee. She is a commissioner on the Commission on Uniform State Laws. Justice Ziegler also currently serves on the Marquette University Law School Advisory Board. She is a member of the American Bar Association, a fellow of the American Bar Foundation, and an elected member of the American Law Institute. Justice Ziegler is also a member of the International Women's Forum. Justice Ziegler previously served on the Governor's Juvenile Justice Commission from 2011 to 2016, the Wisconsin Judicial Council from 2014 to 2018, and the State Bar of Wisconsin Bench and Bar Committee from 2013 to 2018. She has also been a member of a number of law-related organizations including Legal Association of Women and James E. Doyle Chapter of the American Inns of Court. Justice Ziegler has been a faculty member at the Wisconsin Judicial College, has served as faculty at a number of seminars, and previously was appointed to the Personnel Appeals Board. Justice Ziegler is also active in her community, volunteering for numerous charitable and social welfare organizations as a board member and committee chair. Justice Ziegler is currently president of the Trustee Board for the Boys and Girls Club of Washington County. 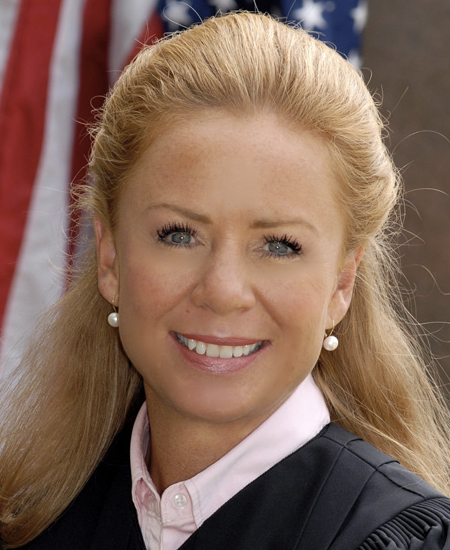 Justice Ziegler is married and has three children. Her current term expires July 31, 2027.